NBM Graphic Novels is proud to announce the release schedule through Summer 2019, including brand new biographies of Albert Einstein by Manuel Garcia Iglesias and Marwan Kahil, and The Rolling Stones by Ceka and various artists. In addition, we’ll have new volumes of Zombillenium by Arthur de Pins, The Story of Lee by Sean Michael Wilson and Piarelle, and The Silent Invasion by Michael Cherkas and Larry Hancock, as well as a new release by Margreet de Heer. In the final volume of The Story of Lee, our two main characters, Lee and Matt continue their studies and their relationship in the UK. With growing confidence Lee asserts herself more and Matt finds that he needs to change or challenge. Change to be more the way she likes, or challenge her ideas and risk upsetting their relationship. Meanwhile, a Chinese student becomes a rival to Lee’s attentions and Matt finds himself in both financial and existential trouble. Against the backdrop of increasing societal turmoil back in Hong Kong Lee’s father gets sick and she has a big decision to make: go back home to help, or pursue an independent life in the UK? THE ROLLING STONES IN COMICS! By Ceka and Various Artists. When the Rolling Stones hit the scene in the 60’s, it was to play Rhythm & Blues, nothing more. They are far from imagining that they are not just going to change music but also become the mouthpiece of a changing world. Sticking their tongue out at the establishment with their brilliant music and hard-hitting lyrics, they achieve planetary-wide success. With Mick Jagger and Keith Richards in the lead, these rebels have become, over fifty years, not just music, but a whole attitude! Through twenty-one stories in comics accompanied by biographical texts and a rich iconography, this book makes you relive, in a totally new way, the incredible epic of one of the biggest rock bands ever. Matt, an ex-pat from Scotland in Hong Kong, meets Lee, a local Chinese girl. They fall in love but her family is resistant to this foreigner. Matt eventually brings Lee back to study in Scotland and meet his family and friends. Can the pressures on both sides, and the cultural differences be surmounted? They both find how difficult this can be. It’s New York City in the 1980s and Ted Rall is in college. Everything is fine before his pranks, lack of focus and restlessness get him expelled. Unable to find a job and rejected by his parents, he considers suicide. By happenstance he finds comfort in the arms of many women as he bed-hops around the five boroughs. It’s better than homelessness, but the psychic toll of selling himself and his affection was higher than he imagined. Both acidly funny and brutally honest, Rall, a cartoonist both beloved and reviled for his edgy politics, pours out his guts in this remembrance of this most difficult chapter in his life. Revised paperback edition. The paranoia and conspiracy theories continue! Beleaguered reporter Matt Sinkage’s quest to discover the truth behind an apparent, government-backed alien invasion of earth leads him to investigate a quasi-religious UFO cult based in an idyllic small American community. Then the sudden death of a prominent politician paves the way for Senator Harrison Callahan to seek the Presidency of the United States. But Sinkage, believing that Callahan is an alien pawn, is determined to stop him at all costs. Love is a many-splendored thing, as comic artist Margreet de Heer has found out through several relationships and her marriage to fellow artist Yiri. How to describe it? Is love passion, stability, friendship, or all of the above? In this comics exploration, the author investigates different aspects of love: is there really such a thing as finding The One? What happens in the brain when we fall in love? How can we keep long-term love? What to do about a broken heart? Margreet herself seems to have found her ideal partner in Yiri, but after so many years of marriage, how about that Seven Year Itch? Zombillenium Park has never been better: its popularity has peaked following demonic reforms by Behemoth, who then decides to play his property in a very special competition … A witches’ Sabbath! Gretchen, Aurelian and Von Bloodt, meanwhile, have set up an underground escape network in order to offer the damned the chance for reconversion, far from the nine circles of Hell, a dangerous secret operation not appreciated by the park’s board of directors. Determined to clean this out, they hire the services of a formidable enchantress who will turn into an arch-rival of Gretchen. Underground as in the air, the fight promises to be epic! 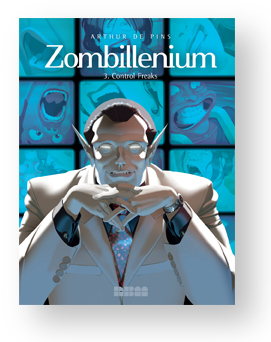 The resistance is organized in this fourth volume of Zombillenium, the monstrous bestselling and award-winning series by Arthur de Pins, eagerly awaited by fans after a long hiatus! What are Gretchen’s true intentions? Will the undead succeed in asserting their rights? Who will be the future happy owner of the Zombillenium Park? Not to be missed! Francis von Bloodt, vampire, a good family man, manages the theme park Zombillenium. In the second chapter, Tempers are flaring around Zombillenium, the monster amusement park run by monsters. When one hires only the dead (or witches!) in a region where unemployment is in the double digits, one must expect some friction. But things get particularly ugly when the park’s security is breached from two sides: activists and a very strange visitor, mom to two peculiar sons the head of the park seems to remember from somewhere… Gretchen and Aurelian do their best to help save a precarious explosive situation! All presented in De Pins’ trademark tongue-in-cheek jubilant black humor and stunning art, combining volumes 1 and 2. When he’s five years old, Albert Einstein’s father offers him a compass that triggers in him an irrepressible need to understand the laws of the universe. At first a simple employee of the Swiss Patent Office in Bern, the young Einstein published in 1905 a series of scientific articles that question everything that was thought to be known in the world of physics. His theory, summed up by the formula E = mc2, opens to humanity the doors of the power of the atom… Legendary Genius, but also a great humanist, he lives through the first half of the 20th century, with all its horrors and contradictions, in the service of science, but distraught by what man’s madness is capable of doing with it. The feature film adaptation of Arthur de Pin’s Zombillenium graphic novel series gets a trailer. The film will open this year’s edition of the Annecy International Animated Film Festival, which runs June 12-17. Zombillenium, the Halloween theme park, happens to be the one place on earth where real monsters can hide in plain sight. When Hector, a human, threatens to disclose the true identity of his employees, the Vampire Park Manager has no other choice but to hire him. To see his daughter, Hector must escape from his Zombie and Werewolf co-workers. 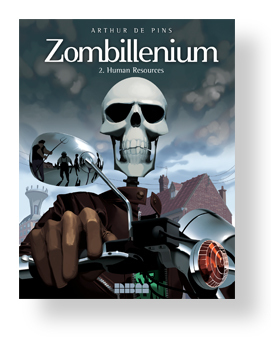 More NBM in May Previews: Zombillenium-Ride or Die! 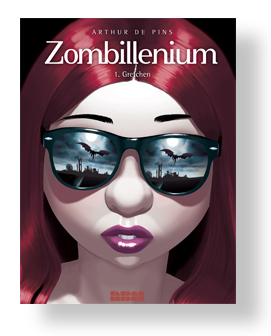 Also being solicited this month is Zombillenium, the horror spoof series by Arthur de Pins. Zombillenium is a theme park run by all of Hell’s creatures, from a witch intern to a newly cursed demon, and all the mummies, vampires, zombie unions, and ghosts in between. Renowned French author and animator, Arthur de Pins, created this stylized world that looks straight out of a sophisticated animated film. Currently, De Pins is working on an animated adaptation of the series. As a preview, the French band, Skip the Use, released a four minute animated music video featuring the Zombillenium characters. Watch here! Take a look at the Zombillenium theme site and don’t forget to buckle your seatbelt! Ready to sell your soul? Tempers are flaring around Zombillenium, the monster amusement park run by monsters. When one hires only the dead (or witches!) in a region where unemployment is in the double digits, one must expect some friction. But things get particularly ugly when the park’s security is breached from two sides: activists and a very strange visitor, mom to two peculiar sons the head of the park seems to remember from somewhere… Gretchen and Aurelian do their best to help save a precarious explosive situation! 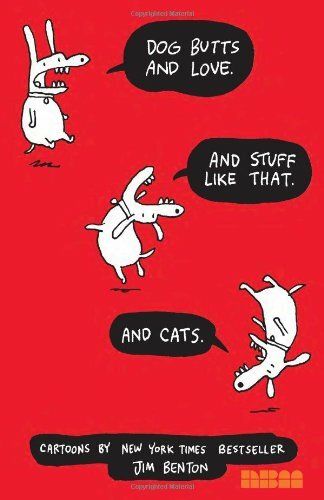 All presented in De Pins’ trademark tongue-in-cheek jubilant black humor and stunning art. There’s excitement in the Zombillenium horror themed park run by actual monsters. Brought in by Behemoth himself, the vampire Beauford Jaggar Carniegie III is officially supposed to help CEO Francis in managing the park. But the employees expect the worst: isn’t he known as a cold-blooded killer? If one looks more closely, the reasons for his coming may seem less anodyne than announced. Of course, his mission is to increase return on investment for the shareholders, but for Behemoth that return has to be in souls. Francis is appalled but obligated to kowtow to the almighty consultant, determined to take power and pervert the rules of Zombillenium. Meanwhile, Aurelian goes through a bad patch. Depressed by his immortal status and the absurdity of his life… sorry, his death, he’s burned out. And burnout, in a powerful demon, can be devastating. Held back in extremis by Gretchen, he avoids the worst. This is timely, because Gretchen has a plan for him… A particularly biting new episode of Zombillenium in which we discover the underbelly of the most monstrous amusement park in the world. Zombillenium Vols. 1-3 are available now in stores everywhere. To order, visit your local comic book store and ask for March’s Diamond Previews Magazine. Author Jeff WhitmanPosted on March 17, 2016 Categories BlogTags Arthur de Pins, ZombilleniumLeave a comment on More NBM in May Previews: Zombillenium-Ride or Die! Review Round-Up! ZOMBILLENIUM Vol. 3! 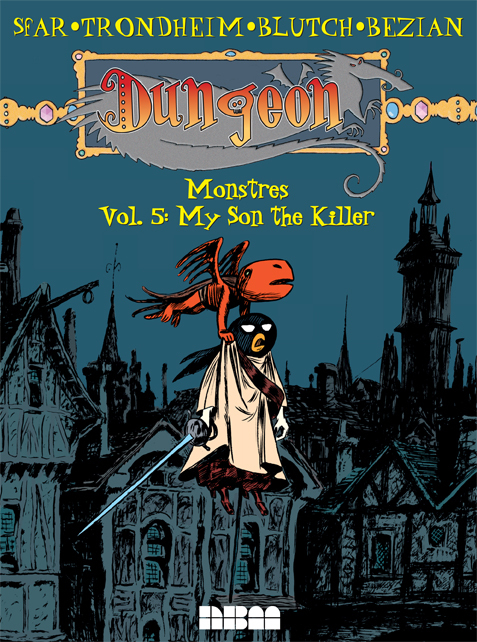 DUNGEON MONSTRES V. 5! 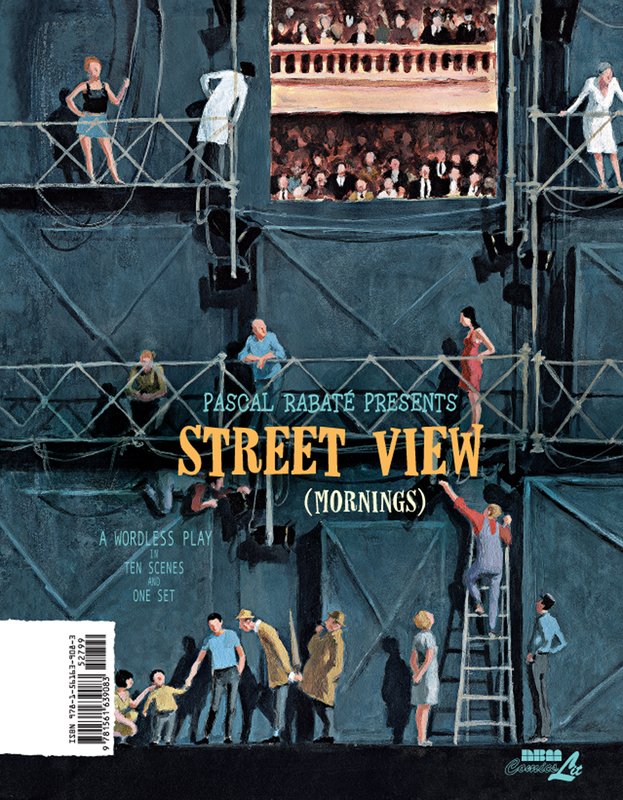 Author Stefan BlitzPosted on August 14, 2015 Categories ReviewsTags Arthur de Pins, Blutch, Dungeon, Dungeon Monstres vol 5, Frederic Bezian, Joann Sfar, Lewis Trondheim, ZombilleniumLeave a comment on Review Round-Up! ZOMBILLENIUM Vol. 3! DUNGEON MONSTRES V. 5! 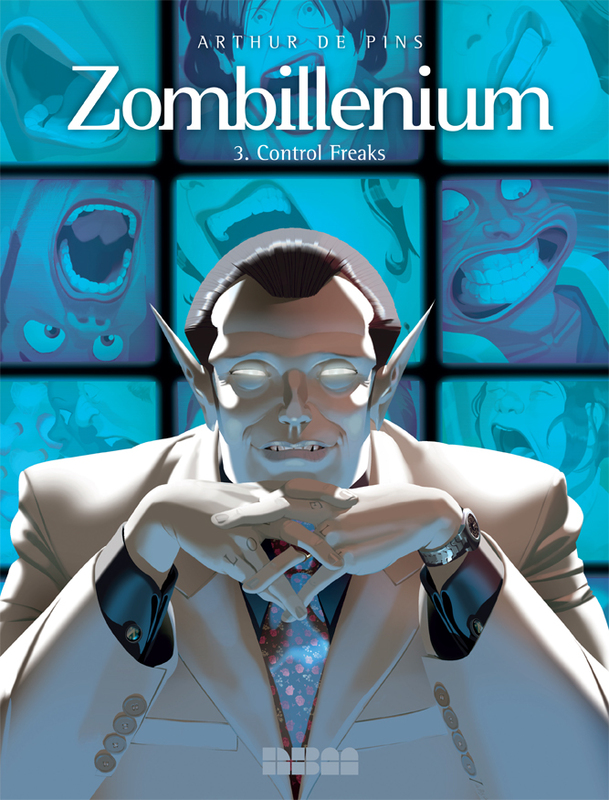 With the upcoming release of ZOMBILLENIUM VOLUME 3: “Control Freaks”, it is a great time to revisit the horror theme park! Zombillenium is a theme park run by all of Hell’s creatures, from a witch intern to a newly cursed demon, and all the mummies, vampires, zombie unions, and ghosts in between. Renowned French author and animator, Arthur de Pins, created this stylized world that looks straight out of a sophisticated animated film. De Pins is working on an animated adaptation of the series right now but recently paired up with the band, Skip the Use, for a four minute animated short featuring the Zombillenium characters. Watch here! Ready to sell your soul? Volumes 1 and 2 are available now! Order now from our NBM website or at your favorite comic book store! Everyone’s favorite horror themed park is back! 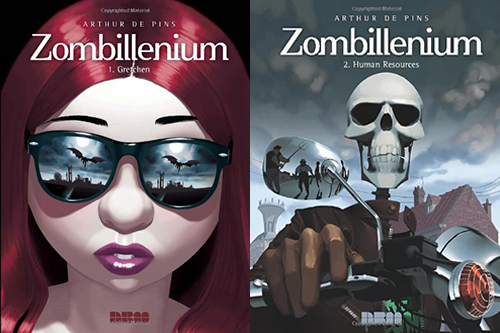 Fans have been waiting for the release of the next edition of Zombillenium, by Arthur de Pins, since last year’s Volume 2 “Human Resources”. Volume 3: “Control Freaks” will be released in July. The park is turned upside down as a new CEO is inserted into power – and there will be Hell to pay! Will the employees – witches, demons, ghosts, zombies, mummies and more- ever be able to work in peace? Be sure to order your copy today from your favorite comic book store in May’s Diamond Previews Magazine. There is a refreshing quality to this illustrated presentation that invites the viewer to ruminate over the actions of the players and to question the intentions of the participants. The stories can be viewed as morning events when read in one direction, whereas the opposite route portrays the evening proceedings. A range of emotions seem to foment as the viewer writes a script for the activities depending on the interpretation—is there love or hate, innocence or crime, fun or mischief? The scaffolding is there, but the script is in the mind of the viewer. Author Stefan BlitzPosted on March 26, 2015 Categories Blog, ReviewsTags Alfred, Arthur de Pins, Dog Butts and Love. And Stuff Like That. 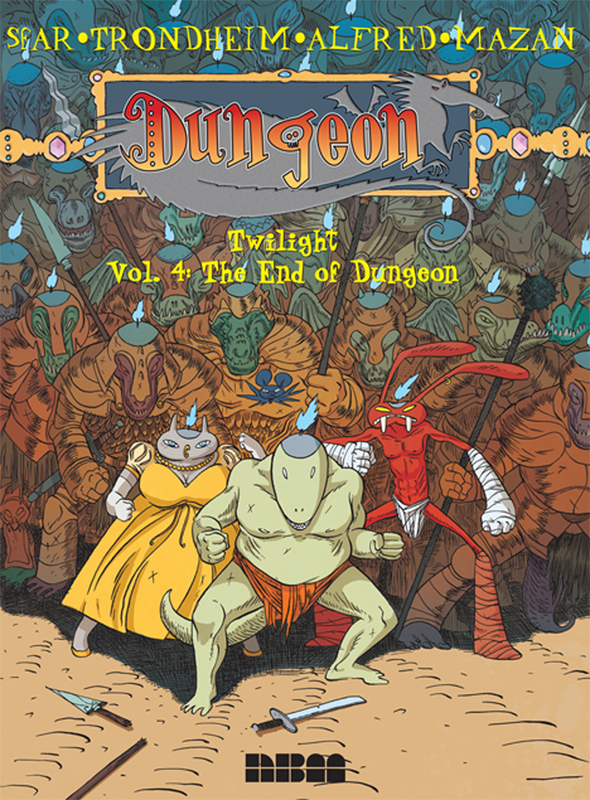 And Cats., Dungeon Twilight, jim Bent, Joann Sfar, Lewis Trondheim, Mazan, Pascal Rabate, Review Round-Up, Street View, ZombilleniumLeave a comment on Review Round-Up!